Scotland has lots to offer for self-catering stays. Staying in a self-catering cottage with a swimming pool could be a truly relaxing way to experience what Scotland has to offer. Plus if you are holidaying as part of a family with children, staying somewhere with a pool is likely to appeal all the more. Staying in a cottage with a pool in Scotland with the potential benefits in relaxation and family fun, could help you get the best out of your visit to this amazing country. Scotland has a wealth of natural beauty, historical castles and other attractions to captivate you whilst taking a break in a cottage with a swimming pool. No one rents a beautiful cottage just to stay inside its boundaries for the duration of a holiday and especially not in Scotland - that would be sacrilege. For natural beauty why not head for one of Scotland’s National Parks which include the Cairngorms and Loch Lomond and the Trossachs. Glens, forests, rivers and lochs abound in Scotland and make for some stunning scenery. In Scotland you can enjoy walking, hiking, boat trips and even mountaineering! Skiing can even be enjoyed, weather permitting, near Aviemore in winter. The countryside and the coast in Scotland each have their own charms. Almost every county in Scotland has at least one historical castle that you can visit whilst on your cottage break. Aberdeenshire in Scotland though is where you should find the most castles, as reflected in the fact that this place is known as ‘Castle Country’. The stories and legends surrounding these castles are often as fascinating as the buildings themselves. Visit Eilean Donan Castle and learn about how the walls truly do have ears! 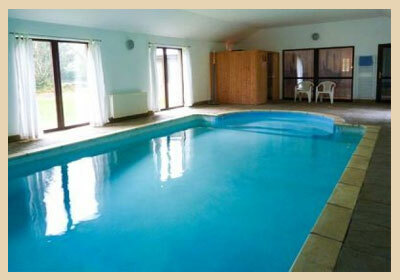 Book self-catering accommodation with a pool in Scotland to have a swim to look forward to after those days out or when it's raining. A swimming pool keeps children endlessly amused on holiday. Scotland’s best attraction has to be its natural beauty combined with its rich history. Scotland’s other main attraction has to be the whisky distilleries where you can visit and learn more about the distillery process and sample some fine, excellent quality spirits. However you decide to spend your time during your cottage holiday in Scotland, what could be better than coming back to enjoy a dip in the pool followed by a relaxing glass of wine. A holiday in Scotland is something to be remembered and treasured. A land of mountains and glens teeming with wildlife, vibrant cities, a strong love of art and culture. 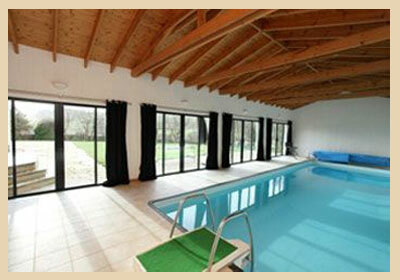 A self catering holiday cottage or house with a swimming pool on holiday adds gleam to the Scottish dream.